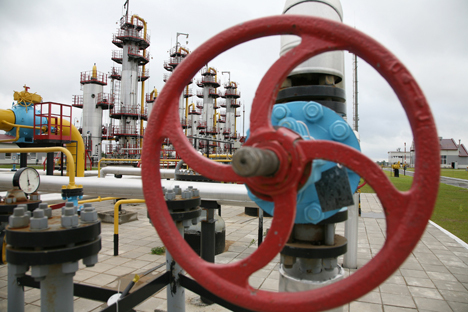 Poland said it does not plan to renew a long-term gas supply contract with Russia. Negotiators for Russian Gazprom and Polish PGNiG will meet once more this week to discuss adjustments to their contract, Gazprom Deputy CEO Alexander Medvedev told journalists on May 31. "We have an existing contract. Supplies are flowing in accordance with the existing contract. As for the arbitration process, the Polish company filed its claim quite a while ago, but the start of the arbitration process does not signal a halt to negotiations. Both [Gazprom Export LLC chief] Yelena Viktorovna [Burmistrova] and I have met with the Polish colleagues more than once. We will also meet this week," Medvedev said. On May 30, Polish government energy official Piotr Naimski told, that Poland does not plan to renew a long-term gas supply contract with Russia when its current deal with Gazprom expires. Polish state-run gas firm PGNiG buys up to 10.2 bcm of gas a year from Russian gas giant Gazprom, accounting for the bulk of Poland's annual consumption of nearly 15 bcm. The contract, signed in 1996, expires in 2022. To reduce its reliance on Russian gas, Poland has built its first liquefied natural gas (LNG) terminal and plans to build a pipeline to the North Sea. "We will be aiming at a situation where a long-term contract becomes a thing of the past. If the price of Russian gas is competitive enough we do not rule out buying it, but definitely not as part of a long-term contract," government energy official Piotr Naimski told the Reuters Eastern Europe Investment Summit at Reuters' office in Warsaw. Read more: Would France’s rejection of American LNG open the door for Gazprom?